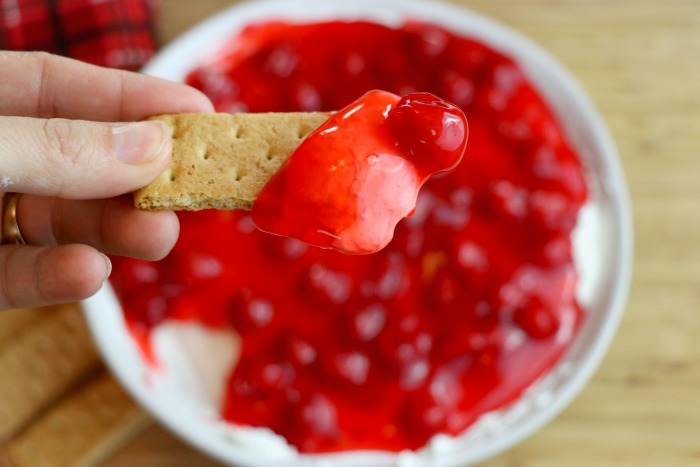 Easy No Bake Cherry Cheesecake Dip Recipe-Make In Less Than 5 Mins! What if I told you that you could make a cheesecake in less than 5 minutes? I know you are probably thinking that’s impossible but I promise you it’s not! 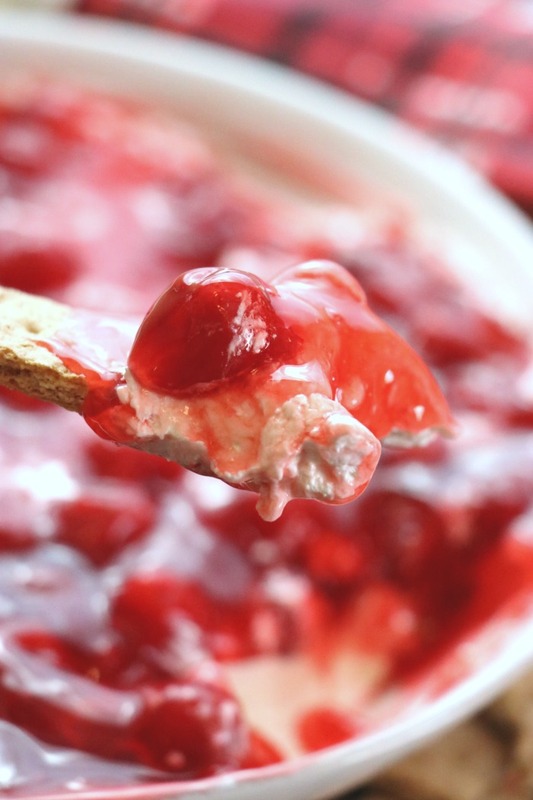 This Easy No Bake Cherry Cheesecake Dip Recipe is quick and easy and tastes just like a cheesecake that took hours to make. 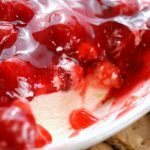 This cherry cheesecake dip is a super easy dessert to make and can be whipped up ahead of time and placed in the fridge for when you need it. Or, you can make it immediately. This cheesecake dip is definitely a hit among the young and the old which is why I will be whipping up a batch for the holidays next week. 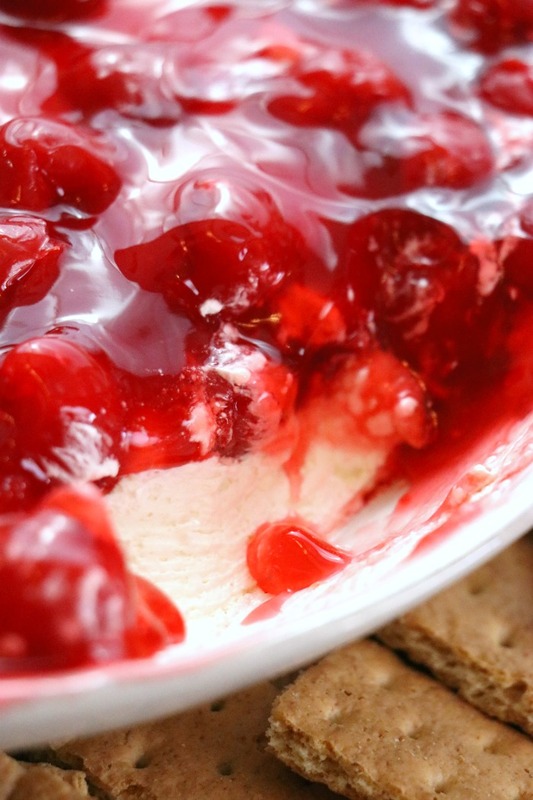 So to make this easy cherry cheesecake dip you are going to need a few ingredients. You can find all of these at your local grocery store or buy them online like I do. In a large bowl, with an electric mixer, mix together the cool whip, marshmallow fluff, cream cheese and vanilla until smooth. Spread the mixture into a small serving dish.